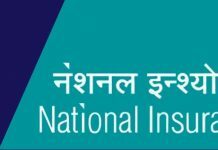 Bharat Sanchar Nigam Limited recruitment 2016: Bharat Sanchar Nigam Limited (BSNL) has issued a notification for the recruitment of 2700 Junior Engineer vacancies on temporary or permanent basis. Interested & capable job candidates, who want to make their Career in Bharat Sanchar Nigam Limited on the available position they may apply for BSNL Recruitment. Other info like eligibility, Age limit, procedure of the selection, date & other information are given below. Educational Qualification: Candidates who are eligible or who are going to apply for recruitment should have minimum three years Engineering diploma/ B.Tech/ B.E in Telecommunications/ Electronic/ Electrical/ Radio/ Computer/ Instrumentation/ Information Technology from a Central Govt/ State Govt. recognised Institution. Age Limit: Applicant’s age should be between 18 years to 30 years. And should not be below 18 or above 30.Upper age relaxation is 05 years for SC/ ST & BSNL employees, 03 for OBC, 15 for SC/ ST-PWD, 13 for OBC-PWD, 10 for OC-PWD & for Ex-servicemen as per Central Govt Rules. Selection Process: Candidates will be selected based on online or written test and Technical test.The mode of selection is through an All India Online Competitive Examination. Candidates should pay Rs. 1000/- for GEN/ OBC . Rs.500/- for SC/ ST candidates. candidates can pay through Internet Banking, Credit Card, Debit Card only. How to Apply: Eligible candidates may apply online through the website www.bsnl.co.in from 10-07-2016 to 10-08-2016 & attend for online test on 25-09-2016. Starting Date for Online Application: 10-07-2016. कौन होगा राजस्थान का मुख्यमंत्री? which includes tons of valuable facts, thanks for providing such information.